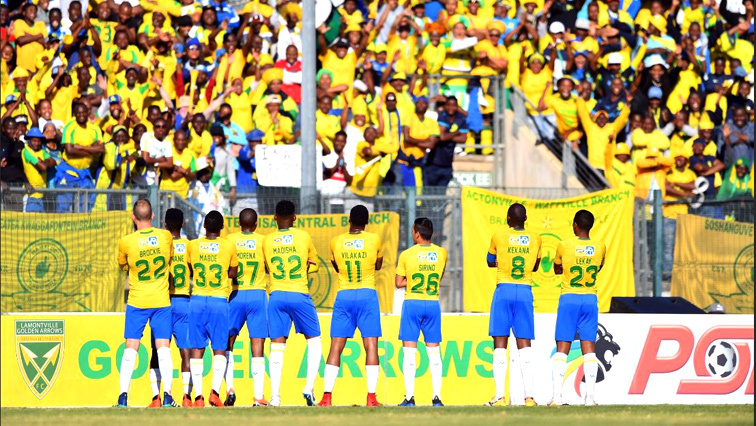 Mamelodi Sundowns stunned record eight-time trophy holders Al Ahly of Egypt 5-0 Saturday in the first leg of a CAF Champions League quarter-final near Pretoria. e took over this year from Frenchman Patrice Carteron, who was sacked after Ahly surrendered a 3-1 first-leg lead to lose the 2018 final against Esperance of Tunisia. We had a very bad match today, and we need to work hard in the coming period to fix many things,” Lasarte told the Ahly website after the debacle. The post Sundowns stun Al Ahly appeared first on SABC News – Breaking news, special reports, world, business, sport coverage of all South African current events. Africa's news leader..